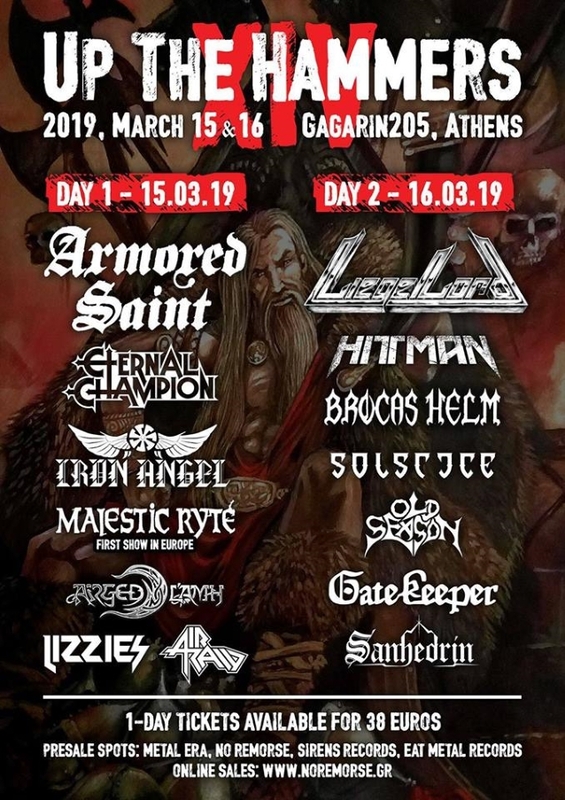 Rockway.gr has uploaded video footage of ARMORED SAINT's March 15 performance at the Up The Hammers XIV festival at the Gagarin 205 club in Athens, Greece. Check it out below. Last fall, ARMORED SAINT singer John Bush confirmed to the 96.7 KCAL-FM radio show "Wired In The Empire" that the band has started work on the follow-up to 2015's "Win Hands Down" album. "We have written some songs," he said. "We don't want to wait too long before we put out a record, but on the same token, we thought 'Win Hands Down' is an amazing record and we're going to be hard-press to surpass it. ARMORED SAINT, it's kind of the way our career has gone. The way I see it, it's all about the quality, not the quantity, and I say that because I have to say that. It's true. I'd rather have 25, 30 years when we're all dead and gone and people look back on us and go, 'That was a cool band and they made some really cool records.' It's not like 'They made 20 records and maybe five of them were good and there's 15 bombs.' I don't want people to feel that way about ARMORED SAINT. I say that because we kind of have to do that because it's what our career has turned into. It would be cool to get out a record in less than five years. We went from 'Revelations' in 2000, to 'La Raza' in 2010. Granted, I was in ANTHRAX during that time. 'Win Hands Down' we cut in half and put it out in five. I think it's possible we can get a record out [in 2019]. The tunes so far sound killer." "Win Hands Down" was released in June 2015 via Metal Blade Records. 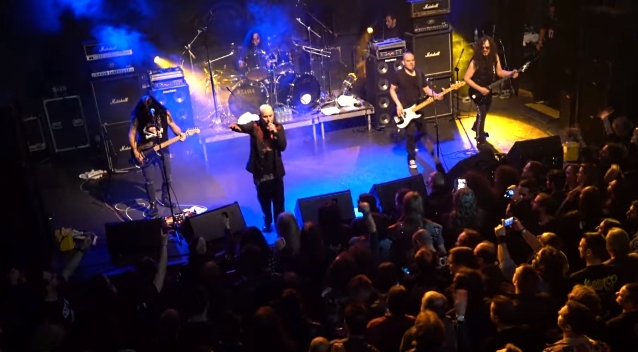 Last summer, ARMORED SAINT completed a North American tour commemorating the band's classic "Symbol Of Salvation" album. On this special run, the group performed "Symbol Of Salvation" in its entirety, with select shows recorded for a live DVD.